I am depressed but I won’t quit. It’s been a while I have not written anything and I think today is a good day to write, because I am exhausted. I love my job and the work that I do but I acted as if this is my own company, and it is not. Maybe my workaholic self is back. I can’t stop thinking about what needs to be done tomorrow, what should I fix and what should i check. I wrote to do list everywhere, my calendar, journal, to do app. My brain keeps working all around the clock. I constantly, naturally wakes up at 3 am checking if there is any text messages from my colleague in the US as he is helping me to fix things and I dunno why do I do what I do. I failed to meet the deadline of the biggest project I ever handle without a team and I keep thinking it’s my very own fault. It is a big deal for me, a perfectionist with impostor syndrome. I hate excuses and I hate blaming other people but then in return, I blamed myself for not doing good enough and that I should have aware about many things. I blamed myself for not spending enough time to study about servers, or finish learning Python and PHP. I thought that I would have been able to prevent this from happening if I have the knowledge. Yes, the server crashed but “It’s not your fault” doesn’t really makes me feel better because the reality is, I lead this project and it is my responsibility to make it successful. Today I skipped my Mom’s birthday dinner because I feel obligated to fix this, it feels like the entire company is on me. But tomorrow is a new day, I promise to not beat myself up too much. I have so much things to learn and it’s killing me to know that I will not be able to learn everything in a short period of time. Maybe I should relax a little bit and have a little faith. These are only a few sentiments I have received over the years, since the day I decided to work in China. I am happy that these sentiments doesn’t come from people who knows me well, so I don’t really pay attention to it. But, sometimes, no matter how hard I ignored it, it feels like there are a lot of people throwing bad remarks on me, without understanding the whole stories. First of all, I was a single parent for 7 years, I married my husband last year in 2015. I have the responsibility to raise my daughter, being both Dad and Mom at once , providing her need, and contribute to the household as my Mom was not a working mother. Back then, I was working in a very supportive company, led by powerful and inspiring working mothers, for 2 years. However, as my daughter grows, her needs grows too. She have to start school and when I planned her entire education future expenses, I realized, I need to have an extra savings. While I was searching for jobs in Hong Kong, I accidentally came across OPPO’s career ad in China, as I have been wanting to start a career in a consumer electronics industry so I decided to give it a try with a very little confident. They were looking for Product Support Engineer. I applied because I have confidence that techie-ness would win them over and I have been doing CRM anyways, but I had no idea how much was the standard salary of expats in China, so I did my research. Had couple of interviews then finally Carl Pei interviewed me, then few weeks later OPPO finally hired me. It was one of the best thing in my life and the story behind my Phoenix tattoo. However, my happiness fade as soon as I realized it might means that I have to leave my daughter behind. I talked to my Mom and my Grandfather. Both of them were very proud and supportive, so I decided to go to work for OPPO in Shenzhen, China, leaving my daughter in the hand of my Mom. Leaving my daughter behind is the worst part of working in China. There are so many times I cried just because I miss her and that awful guilty feeling is always creeping inside of me. Yes, it is possible to take my daughter to live with us here, but do you really think its fair for her? She loves her school, her friends, her life in Jakarta. Here in China, she will have to adjust herself to a new school, friends, surroundings, culture and everything else, in such a young age, just to satisfy my needs to be around her. That is unfair for her. For me, I would rather sacrifice my own happiness, of being with my daughter, than taking her away from what makes her happy. As a mother, I would rather communicate with her through Skype or calls on daily basis, than seeing her having hard time adjusting herself in China. Let’s face it, what kind of mother feels “fine” to live miles away from their children? Being a working mother is already tough, now add the guilty feeling and separation anxiety part that I endures on daily basis, I should be in a mental hospital already! But, despite of what other people thinks of me and my decision, I still here in China to work and my daughter is my biggest motivation. We would call each other everyday and she would tell me her happy stories and reminded me not to worry about her as she understands that both of her parents are working for her future. We even managed to come home to surprise her on her 8th birthday! For me, the best way to get through this is by trying to see it in a positive way. Having my daughter apart from me now, push me to be super focus on my job and self enhancement, because if not, I would be drowned in a sea of tears and depression which is a complete waste of my time being apart from her here. The other thing is that there will be hard times at work and all it takes for me to go through it, is to think of why am I here in the first place and all the things I have endured to be here. Having my daughter apart from me, makes me indestructible. Sometimes, I found myself starring at my laptop screen for quite a while. I wasn’t starring at 9Gag or Bored Panda, I was starring at one famous online shop that carries branded bags. I started off browsing the site just to see what is the current trend like, and then I bumped to rows of bags.Take a look of these beauties I am eyeing below! This is not the first time I get some sort of “dilemma”. Years ago, my dilemma was solved in almost an instance, because I didn’t have that much money to spend on a branded bag and I hated buying stuff with credit card. But now, when I have the money to spend on Gucci, Prada, whatever brand I want, I find myself in a deeper level of dilemma. Every time I wanted to buy an expensive bag, I have to sleep it off. Then I have to answer my “pre-purchase” questions such as; do I really need it? why do I need it? is it just because I want to show it off? is it really necessary? will my life change when I tote this particular bag or will I become an arrogant person instead? I barely able to answers these questions, especially the part where I asked myself, what can I do for the society, with this amount of money I am about to spend on a bag? I am almost ashamed of myself trying to justify my purchase. There are many people who just simply love to buy branded bags but I am not here to judge them. I have few friends who happens to own few Hermes bags but are still down to earth and loves to do charity works. I do think that they are way better at managing their finance than me and I really should learn from them! There are also some studies about the psychological explanation behind luxury brands here and here which I think are quite true, especially for me. I constantly talking to myself that toting a Chanel bag will definitely boost my self-confidence (as the bag have been perceived as a luxurious brand successful people carries around) but is not like I don’t have self-confidence at all, right? Don’t get me wrong, I do want to buy myself few classic luxury bags that I could pass down to my daughter, granddaughter and so on, but that will only come after securing our daughter’s education fund, house fund, donation and other funds that really matters. For now, as long as the bag is made of a good quality leather, I’ll definitely wears it with confidence! I love browsing through Pinterest to find inspiration (it is such a guilty pleasure that I have been doing it in daily basis now!). Beginning from -just browsing through random images- to actually found something attractive enough, may takes several days depending on what type of image attracts you most. 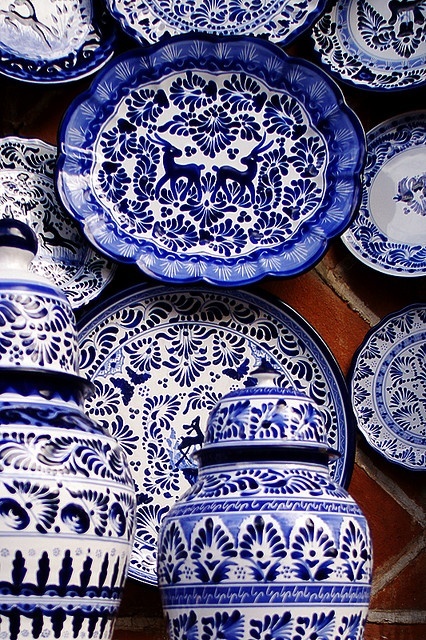 For me, after 5 days of browsing, I finally found a beautiful image of ceramics plates, with its cobalt blue and white color combination. 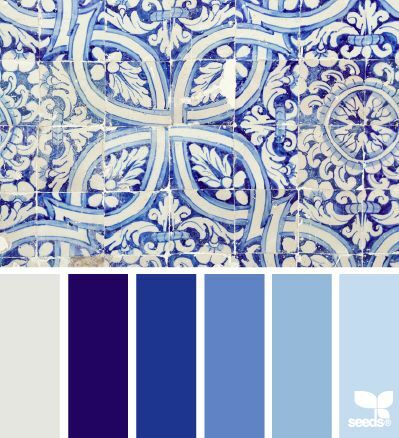 As soon as I found this image, I started searching for “Cobalt Blue Color Palette”, still through Pinterest, to find the best color combo that suits my personality and his, as we both has similar taste in colors. The only different would be, I like Fuchsia. 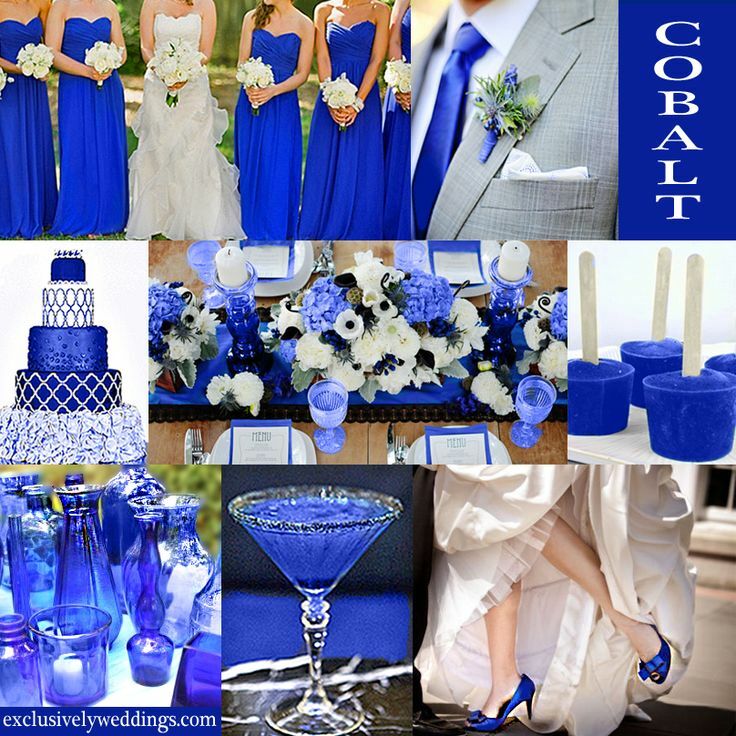 Then, I search “Cobalt Blue Wedding Theme” to see how other couples execute this color palette into their wedding. 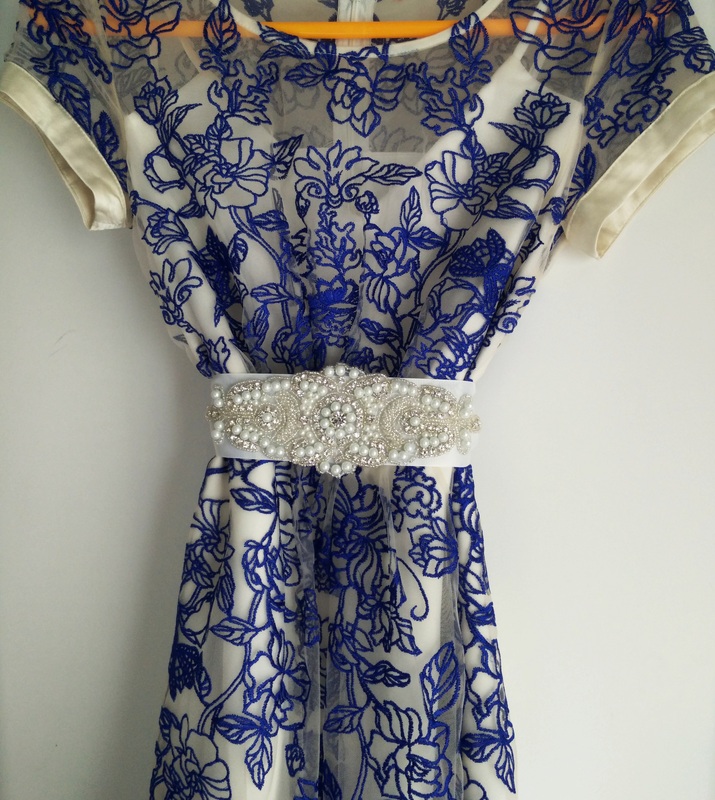 Based on bunches of other images on “Cobalt Blue Wedding Theme”, I decided that this is the color theme that I want for my wedding because of reasons; first, I do not want to wear white bridal gown, second, I want a color that is not too mainstream in the wedding theme area, and third, the color itself is very beautiful and elegant. Interestingly, this color also has a good meaning behind it that reflects what we want from our marriage.The color blue is the color of trust and responsibility This color is one of trust, honesty and loyalty. It is sincere, reserved and quiet, and doesn’t like to make a fuss or draw attention. It hates confrontation, and likes to do things in its own way. Week 2: Buy Your Wedding Dress. Don’t have time? Purchase Online! Week 3: Buy All The Accessories or DIY it! 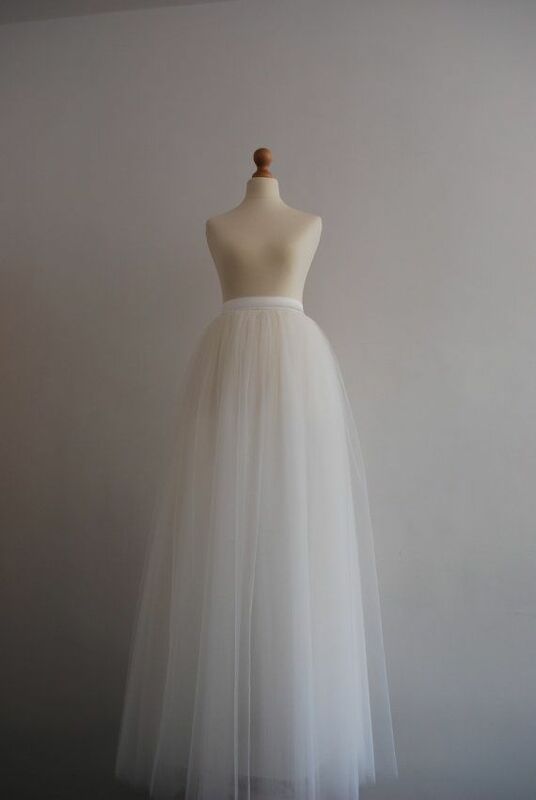 As mentioned earlier, the bottom part of my dress wasn’t as I expected so I purchased maxi – 9 layers of tulle- skirt, to be worn under the dress as it will gives a fuller look on the bottom as well to conceal the sheerness of the dress itself. Once I tried everything on, I was satisfied! The dress become much better than it was, with the sash and the tulle skirt inside. The length of the dress and the tulle skirt compliments each other (thanks to my measurement skill!) 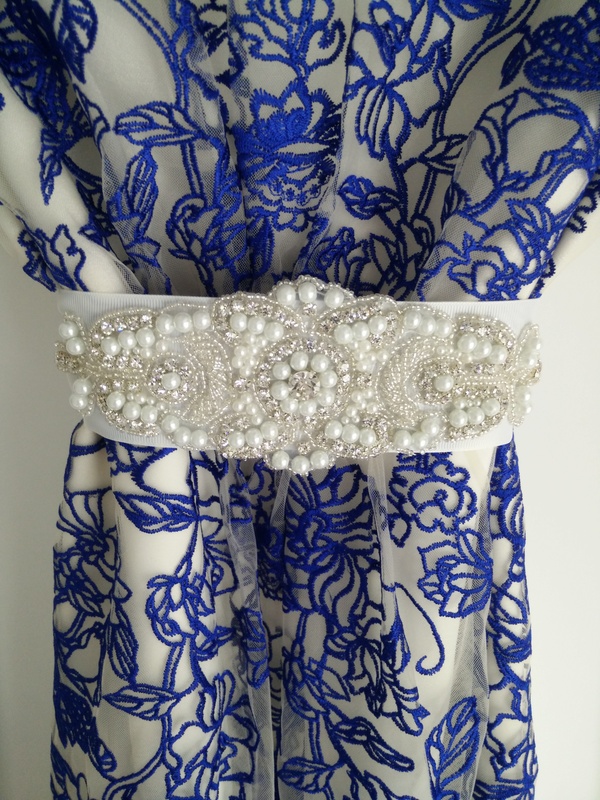 and my handmade sash accentuate my waist perfectly, giving it the shape I wanted!As Taobao also offerer purchasing service, I purchased my Jimmy Choo heels through this service. 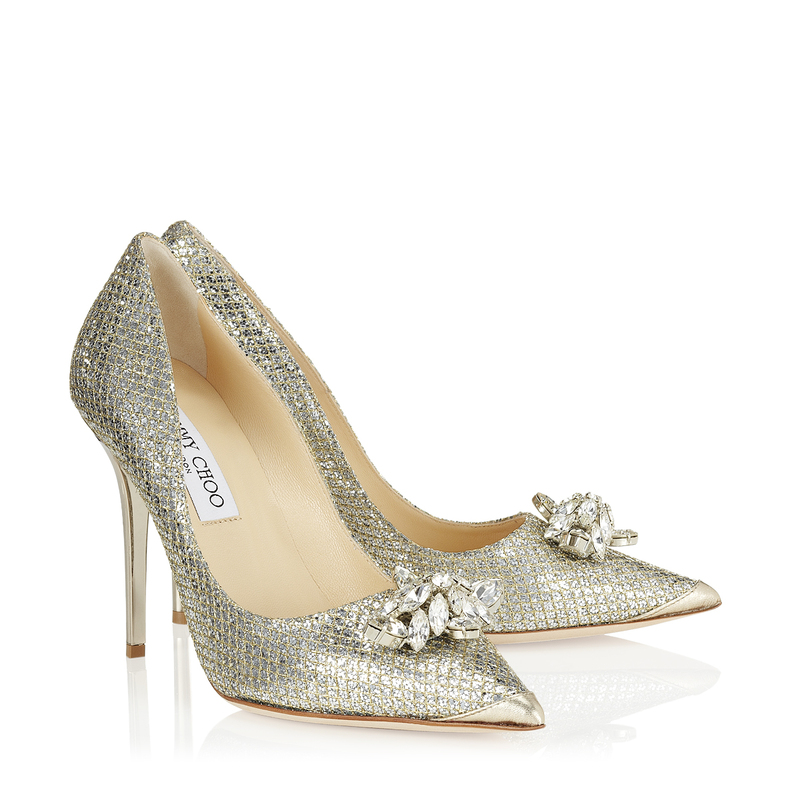 The seller gave me links she can purchase from, some were designer’s bargain sites in the US, where I found a very beautiful Jimmy Choo Dempsey heels and have her purchased it for me. As Dempsey was a 2014 Cruise collection, the shoes wasn’t expensive. My shoes came in around 14 days period, but it was worth waiting for. Week 4: Buy The Ring! 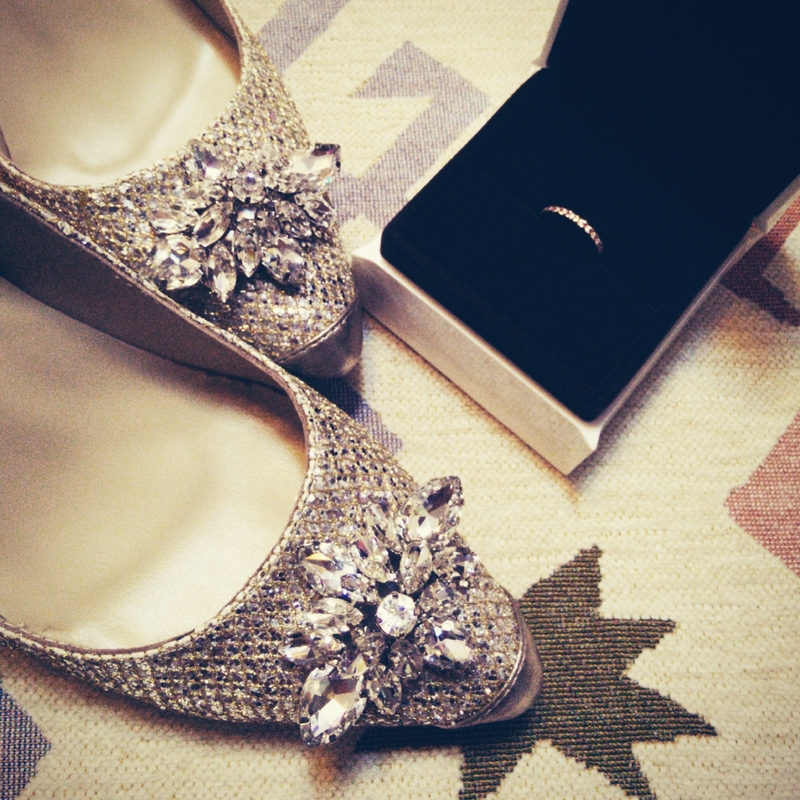 One week is enough for me to browse around online and offline in the shopping malls, to find my wedding ring. As I am not really into gold, I preferred a rose gold ring instead. In Shenzhen, there is only a few jewelries boutique that sells rose gold wedding ring, so as soon as I found it, I talked it out to my fiance and we purchased it the next day as I was afraid it will be gone if we waited few more days. I bought my ring in I DO boutique in Shopping Park, Shenzhen. My fiance actually chose it for me because the one that I chose was not really pretty in his opinion. My ring is a very simple ring with 10 diamonds on it which represent our wedding date, 10th of June 2015. For the rest of the weeks, I did my research for the bridal makeup in Hong Kong and the venue. I went for Kalam from http://kalamakeup.com/ as she is a famous makeup artist based in Hong Kong and have been known to create a naturally beautiful makeup for brides. As for the venue, we wanted to do simple dinner and was going for Indian restaurant. But considering that we will have International friends coming to our wedding, I decided to book the famous Indonesian restaurant, simply called Indonesian Restaurant 1968 in Central, instead. I have made a life-changing decision when I was studying in the best university in Indonesia. Being accepted in this top rank university was not without a struggle. I was having hard times going to different study group after school ends, 5 days a week, until 7 pm. Not to mention the 3 hours drive from school to my home at that time, as we were living on the outskirt of Jakarta, so I got home at around 9 on daily basis. I remembered the day I “compete” with hundreds of thousand students, trying my best to achieve the highest score to be eligible for student admittance. I also remembered the day I was accepted by the university. Me and my parents were literally chasing the newspaper guy to get the earliest morning paper as the result was always been announced through newspaper. I was so happy, I cried and didn’t stop mumbling to God on how grateful I am. My life as a student in a high rank university was pretty normal. I skipped classes once in a while, hang out in the canteen instead of library, I failed some classes thinking that I can retake them anytime. I had my ups and downs in term of credit score. I had my 3.8 out of 4 as my highest credit score in a semester but I also had my 2.2. In total, my average score was around 2.8 – 3.0. Not bad, normal, and average was what best describes my life as a university student. Then, one day I got a job and it changed my life forever. I was pushing myself to do both study and work at the same time. It was really a struggle for me as my lesson ends at 2pm and at the same time my work starts at 2pm. I started to skip afternoon classes to arrive to work earlier and although I tried to keep up with studying at work, it was clear to me that I enjoyed working more than being a student. So I decided to resign from the university. It was a dumb decision, if I think about it now, but hey, the past is the past. So right after I chose to be focused on working, I encountered a lot of unpleasant experience. People started to judge me as someone who’s not worth paying attention to, even at work, no one were willing to listen to me because I didn’t have a degree. At that time, I was shocked and frustrated by how the society can just simply hold a long label against me; drop-out girl – stupid – don’t listen – she knows nothing – stay away. I didn’t understand how could someone judge a person by the degree they have accomplished. Does a degree makes a person more superior than those who have no degree? What gives you the right to underestimate anyone in the world? Why does a degree even considered as a prove of one’s existence? I honestly was so mad at the situation, I was so angry that I decided to try my hardest to prove them wrong, to prove every single person who have ever looked down on me, that I can do better, much better than them, degree holder. Still to this day, I have never been satisfied with myself. Every morning before my work time starts, I read all the website listed on my bookmark bar, from left to right. This bookmark bar is manually reordered once in a week to make sure I receive all the knowledge I need. I push myself to read whitepaper, pdf, research and case studies downloaded to my phone, daily. My determination to learn does not stop here. I still signed up to different courses in Udemy, Ed-Ex and Coursera. I didn’t only took the courses that will keep me upfront in my work field, but also other subjects like economics even programming. I don’t believe in limitation of knowledge and I don’t believe in limiting myself in learning. I am furiously hungry for knowledge BUT I am also constantly in battle to prove myself that I am good enough and smart enough for me, myself and I. For most people, being a self motivated, self driven and high achiever is a good thing, for me it does do me good but it also have its bad side, as everything excessive does more harm than good. Been reading Jeff Jarvis’ “What Would Google Do?” and Siva Vyaithyanatha’s “Googlization of Everything” to understand how Google works. Aside of having the knowledge on how many data or information about each of us Google have been collecting, I do think I am getting a bit paranoid here. I have been using Google on daily basis and from time to time. When I want to look up for something, I go to Google, every single day, it has become a habit of mine and everyone else I believe. This is a dependency, it almost feels like I am the nagging girlfriend of Google, who needs to know everything, everytime. I honestly am scared of being dependent on Google. We have Google everywhere, on our laptop and mobile devices. We have changed our way of filtering information, because suddenly the world and everything we want to know about, is right on our screen, thanks to Google right? It does seems magical, but then again, on the other hand, people read less and less books, conventional printed medias are dying, and “stalking” people through Google have become something that is tolerable, because everybody does it. One thing that always tick me off is that whenever I asked a question such as; “Hey, do you know how 4G works?”, my friend would just tell me one quick answer; “Google it”. Seriously, I was expecting a more elaborate answer than that. But hey, this conversation happens on daily basis, in every part of the world that has internet. I do think that we are able to survive without Google, but, we will have a very long process on finding answers to our questions. For us who already getting used to “everything instant”, this could be a major problem. Have you ever imagine if Google existed years ago during Socrates’ time, or during Einstein’s time? I have and it is something that I am glad didn’t happen. Evan Williams of Twitter told his secret of “getting rich online”..